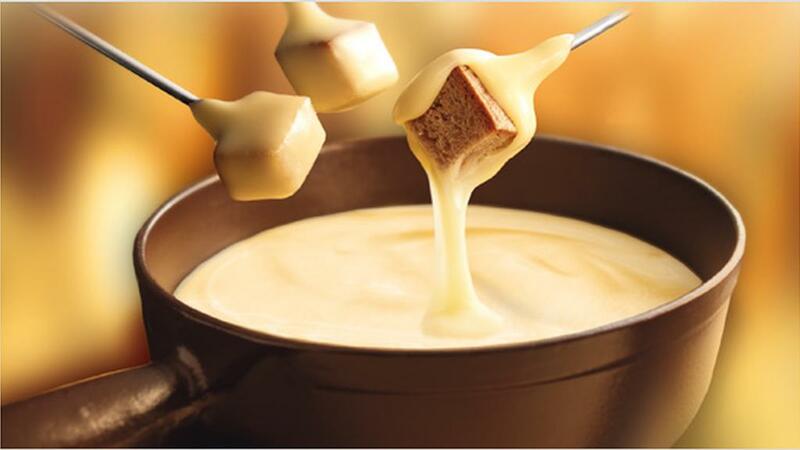 Starting at 17h30, our cheese fondues are prepared by our Swiss Manager, Romano and are made from the finest world-class Swiss and Italian cheeses, a hint of garlic, a splash of white wine and a glug of kirsch. It is served with a range of artisan breads, heritage fruits and raw vegetables, some chorizo and salchichón: a different taste sensation with every mouthful. Personally imported by Florian, our fabulous selection of award-winning French wines are available to complement your meal. We also have wonderful artisan beers and soft drinks. Booking is essential. We are a very small restaurant and as the fondues are prepared for you beforehand, we have to charge for all people booked, unless we are advised of a change of numbers 24 hours in advance.